Wally Bradley commenced work for the PMG (now Telstra) in 1947. He was promoted on a number of occasions and in 1963 came to Victor Harbor as the “Officer in Charge”. Whilst living in Victor Harbor he managed the Field Workforce, for Telecom for the southern regions of SA. 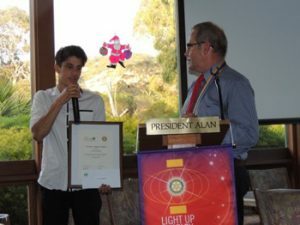 As the Manager of Telecom in Victor Harbor, with a large workforce and highly regarded by his superiors, he was invited to join the new Rotary Club being formed. 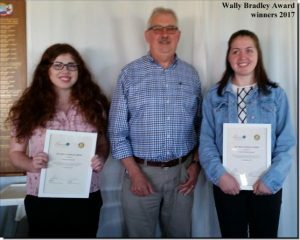 The convenors of the new Club soon realised Wally’s potential as a leader and invited him to be the Charter President of the Rotary Club of Encounter Bay in 1979. In the first few years, Wally’s sound leadership built a very stable Club that still exists today. 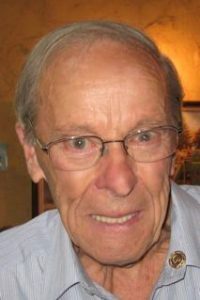 He retired from Telstra in 1992, ceased as an Active Member of Rotary in 2010 and was made an Honorary Member of the Rotary Club of Encounter Bay. Regrettably, Wal Bradley passed away on the 10th Sept. 2013, and his wife Yvonne died in October 2015. This award perpetuates Wally's memory. 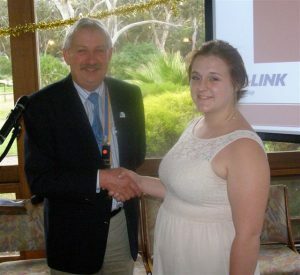 The Rotary Club of Encounter Bay - Wally Bradley Award has been established to support young people in Victor Harbor aged 16-19 years who show initiative and commitment in their field of education or training but who may be experiencing difficulty in continuing their studies, or accessing other education or training, due to hardship or disadvantage. The Award is based on access and equity. It is not intended to be a merit award that just recognises academic achievement. The first cash award was made in 2004, and has been awarded annually since. The fund is set up so any person who wishes to contribute to the fund can do so. The money is kept and managed by the Fleurieu Community Foundation and the interest earned goes towards an annual award. 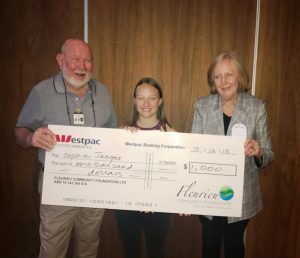 The Rotary Club of Encounter Bay works with the Fleurieu Community Foundation to raise funds annually to support this cause - usually with a community quiz night. 2018 Amy Davis and Sophie Jaeger.